The children practicing Yoga in this project are ages 18 months through Pre-K and have varying needs from autism spectrum and down syndrome to muscular dystrophy. ​Although the positive effects of Yoga for special needs children are well documented, this group of children are from low-income and immigrant backgrounds and have not had access to practice. Our teachers will offer tools to relax and calm the children's nervous systems, handle outside stimulus and have fun! Rafael Rivera has been a United We Om Karma Project teacher since 2016. 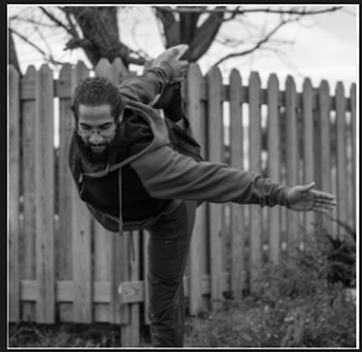 He was the first Yogi in Residence in 2017, and is also teaching a Karma Project for Veterans at the NY VA in the Memory Care Ward. Rafael also passionate and experienced in sharing Yoga with special needs children and adults.